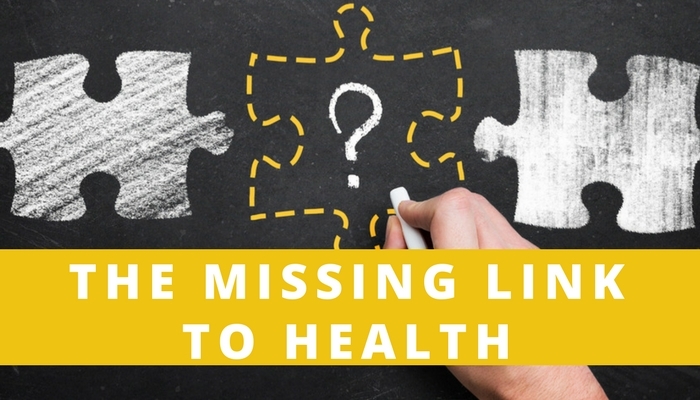 What could be the most important missing link to health and longevity? Why do so many people deal with the following? The answer, although not simple, has one common denominator that biochemists have discovered. It comes down to the body’s inability to produce adequate amounts of healthy cellular energy. Once cellular respiration, the process by which cellular energy is produced, in the body goes from an aerobic (fueled by oxygen) to an anaerobic (lacking adequate oxygen) environment, then our cells begin to breakdown, become damaged and disease begins to manifest itself inside our cells. The scientific debate between whether these diseases are more related to genetics or lifestyle will continue in the world of academia. What we will focus on is the current lifestyles that has led us here and ways to reset our internal cellular environment, so that we are producing healthy and adequate amounts of energy to not only survive but THRIVE! As a disclaimer, this article is not intended to treat or cure any diseases but is for information purposes only. Any lifestyle change should be discussed with your physician to ensure your safety. We must nourish the one component in our cells that produce cellular energy and this is the organelle in our cells called, “the mitochondria. What lead us to mitochondria mayhem? Organ dysfunction from our poor lifestyle, for example, thyroid problems. Consumption of bad fats (hydrogenated oils, margarine, vegetable oils). Although this list is lengthy, it is far from being exhaustive. Pretty shocking! This reveals how toxic our lifestyles are and how we need to become aware and make some changes. Of course some are out of our total control, for example, the toxic environmental exposures that all contribute to mitochondrial dysfunction in our cells but we can take steps to minimize and overcome as best we can. These lifestyle habits and environmental pollutants literally change our biochemistry making us toxic and acidic. It is vitally important to detoxify the body and alkalize the body. Learn the importance of “Why Detox” and “Why Alkalize” from our previous articles. They both have a connection with healthy mitochondrial function and both are needed to get your mitochondria functioning at optimal levels. Produces ATP (adenosine triphosphate) the universal carrier of metabolic energy in our cells. Either by fermentation (anaerobic glycolysis) or aerobic respiration (healthy metabolism). Enzymes are key to produce ATP in the mitochondrion inner membrane. Mitochondria developed an antioxidant network that consists of glutathione, vitamin C, Vitamin E, lipoic acid, and antioxidant enzymes (Super-oxide dismutase (S.O.D.) and glutathione s-transferase) to combat these free radicals. As we age, the mitochondria lose important structural lipids, energy shuttling compounds and antioxidants. We can accelerate this by our lifestyles. The condition of the mitochondria dictates the capacity of the cell to function over time. Its decline disables a cell to function properly and increases aging. Mitochondria regulates cell functions: iron metabolism, heme and steroid synthesis, programs cell death (apotosis), programs cell division and programs cell differentiation. Mitochondria continually communicates with the nucleus of the cell to perform these functions. Some of the concepts to take from mitochondrial function are: antioxidant enzymes, free radicals, ATP, increase aging, cell death, anaerobic glycolysis and aerobic respiration. Anti-oxidant enzymes are important and the next section will teach you how to increase the function of these enzymes to combat aging and increase cellular oxygen levels. Free-radicals is a term we hear and use a lot today when it comes to disease. This is a natural process of cellular respiration; however, we are accelerating this process by the grocery list provided in the first section. They all increase free-radicals in our body. You will learn how to slow free radical damage in the next section because of the antioxidants (electron donors) it will have provided your cells to slow this process down. ATP production needs to favor “aerobic respiration” over “anaerobic glycolysis” (fermentation) to ensure our tissues and organs are oxygenated. Once our cells begin to ferment glucose then they become breading grounds for cancer formation and a plethora of other diseases. Please read the above articles on “Why Detox” and “Why Alkalize” to ensure healthy ATP production. Fermentation is a natural process, however, when our cells and tissues becomes acidic disease will thrive in the acidic ecosystem. Increase aging will occur if you continue to follow the lifestyle path highlighted in section one. Aging is inevitable so let’s ensure we are slowing that down as much as possible through lifestyle. Cell death (apotosis) is another natural process but it needs to be regulated by healthy mitochondria. The impairment of cell death will allow cells that need to die off and be eliminated out the body the opportunity to cause metabolic and cellular breakdown. Once a cell has done its job in the body, it needs to be either recycled or eliminated out of the body. Your body’s intelligence can determine that for you. Part of the problem in numerous pathologies is the body’s inability to rid itself of worn out and toxic cells. 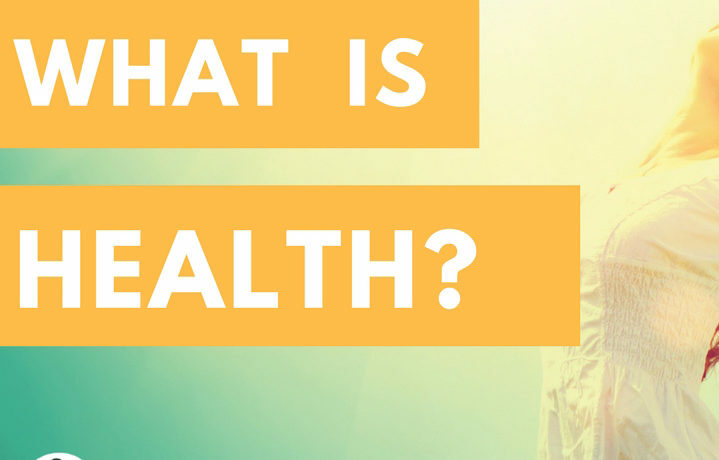 Without healthy mitochondria, your body’s built-in intelligence cannot do its job with proper cell death and cellular biogenesis (production of new healthy cells). Anaerobic glycolysis occurs through fermentation. Around 20% of cell function is dependent upon this way of energy production, however, many who already have a diagnosis are creating too much anaerobic glycolysis at the cellular level. This phenomenon then creates what is called, “hypoxia” (lacking oxygen) where the cells do not have adequate amounts of oxygen to assist in healthy energy production. More and more cells become toxic and acidic and over time creates an internal environment for unhealthy cells to survive and create disease. This way of cellular metabolism should take precedence when we pass away, since this acidic process will allow for the decomposition of our bodily tissues, but we are doing this prematurely with our lifestyles. We may potentially be causing our arrival at an early grave because of our current unhealthy and toxic lifestyles! Aerobic respiration should be the dominant way our cells mitochondria produce energy. 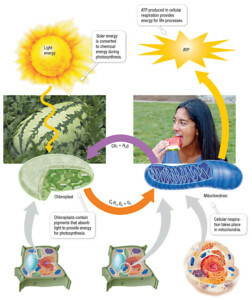 In fact, about 80% of cellular respiration functions this way when our mitochondria are healthy. If our cells mitochondria are functioning at this 80% aerobic level, it is virtually impossible for disease to survive in our bodies. To create this kind of internal environment, there needs to be multiple factors involved to reach optimal mitochondrial function. 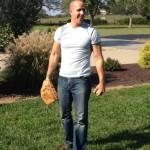 “I feel 20 again! 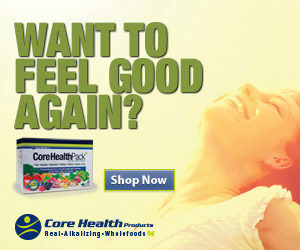 My energy is amazing on the Core Health Pack.” – Linda R.
Detoxing the body is imperative. Toxic cells cannot produce healthy mitochondria and appropriate cellular respiration, so you must clean house! Balancing the body’s pH is also vital. Healthy and unhealthy mitochondria are dependent upon your body’s pH levels in the blood and tissues. Drinking freshly prepared organic vegetable juices. It is preferred you purchase a grinder/masticating juicer like the company Omega manufactures. These juicers keep vital enzymes, minerals and vitamins alive at higher levels than high speed juicers. Drinking antioxidant rich, mineral rich, alkalizing Kangen water. This water will provide your body with antioxidant molecules and minerals to reduce acidity in the body and reduce oxidative stress and combat those free radicals. Remember, oxidative stress over time reduces mitochondrial function, so make sure you are getting antioxidants from your water source as well, it’s not just fruits and vegetables. Both sources of antioxidants are different, so variety is better! Reducing stress emotionally, mentally, physically and spiritually. There are numerous ways you can do this and plenty of info online to get ideas. Just remember, too much stress will affect your mitochondria because it increases oxidative stress, effects glucose and insulin levels that inhibit cellular respiration and causes an acidic internal environment. A recipe for disaster! Ensure that your bodily systems are functioning correctly. You can do this simply through blood work ordered by your primary care physician. Reduce any, if not, all household chemicals since these toxins effect our bodily systems over time and they accumulate in your cells making them sick and void of adequate amounts of oxygen. Many people who have advanced disease should avoid them immediately since their body is already suffering from poor mitochondrial function. Chemicals are literally making us sick! Avoid as much as you can the list that was provided in part one of this article. Your mitochondria will be thankful! Intermittent Fasting. There are many ways to fast, however, consult your physician or healthcare professional if fasting is safe for you to do. We want to ensure safety always. There is plenty of empirical data showing that fasting allows from proper apotosis (cell death) and mitochondrial biogenesis (production of new mitochondria) during fasting. Consuming super-foods like Core Greens. Super-foods are foods that have higher amounts of enzymes, vitamins, minerals, antioxidants, etc. than your basic fruits and vegetables. The affordability of this product gives you more of a reason to start taking it daily. Super-fuel your mitochondria daily! Check out our Book, “Living In An Acidic World” for recipe ideas that you can use the greens for to mix it up. These recipes are delicious! Ensure you are purchasing organic foods as much as possible. If you simply cannot afford it, you can use the Kangen water or filtered water with vinegar to strip the oily herbicide and pesticide residue off these foods. These poisons cause metabolic breakdown over time and lead to mitochondrial dysfunction. If you have advanced disease, there is really no choice, organic is top priority. Making sure you have a healthy gut! Taking probiotics and plant-based enzymes during your meals will ensure you are breaking your foods down before they enter the bloodstream by the liver. Undigested food that enters the general circulation has detrimental health effects over time and causes chronic acidity in your body. We can write a book about what occurs when undigested food enters your bloodstream but just know that it effects your cells over time and leads to poor mitochondrial respiration. Toxic cells cannot function properly and lead to a laundry list of pathologies. 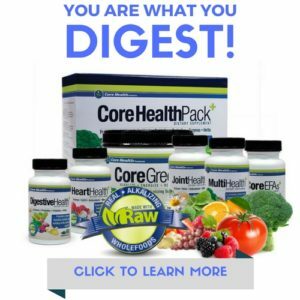 Taking Digestive Health and/or Core Health Pack will help build a healthy gut for proper digestion. Exercise! Exercise! Exercise! It has been shown in research that “aerobic exercise” does help produce new mitochondria in your cells, along with, so many health benefits. If you cannot exercise, even walking benefits your mitochondria. Consuming healthy fats! Especially omega 3 fatty acids! Core EFAs are a great source of healthy omega 3 fatty acids. Fermented foods and drinks like kefir, sauerkraut, pickles, kimchi, kombucha, etc. These foods and drinks do so much to create a healthy gut and cleanse the body that assists in better energy production. Regulated sleeping patterns. Restful sleep allows your body to detox throughout the night and allows for new mitochondria to be created in your cells and eliminate those cells that need to be eliminated out of the body. When you get adequate and regulated amounts a sleep, you notice you are refreshed. Your mitochondria love it! Don’t wait for a health crisis- Start TODAY! Many Americans and others around the world are in a health crises well before they get a diagnosis. The unhealthy lifestyle habits mentioned in part one is the status quo lifestyle for many today. Who knew these habits effected our mitochondria! We do not feel this going on in our bodies but it shows up in multiple forms we call disease or pathology. It’s no longer a choice regarding whether we should change our lifestyles, we must today! Immediate results may or may not occur, it depends on the level of toxemia each individual carry within their cells but push through it. This is not a quick fix, it’s a lifestyle change that occurs over time. Too many products out there on the market want to promise they have found the “fountain of youth,” and they have not. This is not a diet fad either, it’s about providing your body with the nutrients it needs to function properly. The hope is that you will eventually experience an overwhelming sense of well-being over time. Your energy levels are up, your weight is getting where it needs to be naturally, health challenges get better, having a clearer mind, slowing or stopping disease, potentially reversing disease and the list goes on. Go for it! Berger, Amy, M.S, CNS, NTP. The Alzheimer’s Antidote. White River Junction, VT. Chelsea Green Publishing, 2017. Christofferson, Travis, MS. Tripping Over The Truth: How the Metabolic Theory of Cancer Is Overturning One of Medicine’s Most Entrenched Paradigms. White River Junction, VT. Chelsea Green Publishing, 2017. Davis, William, M.D. Wheat Belly. New York, NY. Rodale Publishing. 2011.